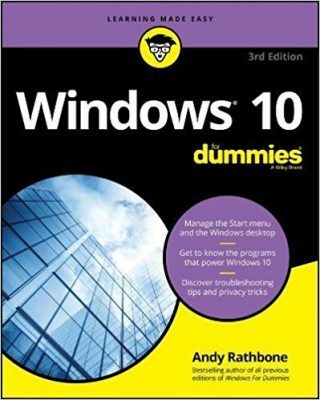 Q: When using Microsoft Works on my old computer, I could change the font and text color, save it, and it would be there for the rest of my letters. On my new computer, I can’t seem to find a way to keep my selected font for new letters. How do I save the font so I don’t have to reset it every time? A: It sounds like you’re only changing the font and color for your current document. You need to tell Microsoft Works’ word processor that you’re making a permanent change. Open Microsoft Works, and open a blank document in Microsoft Works Word Processor. 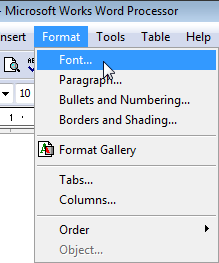 Click the Format menu, select Font, and choose the font and the font size that you want to use for all new documents. On the File menu, click Save As, and then click Template. Type a name for the word processor template, click to select the “Use this template for new Word Processor documents” check box, and then click OK. The next time you open a document in Microsoft Works, you can automatically start typing with your favorite font and color. Posted: April 12th, 2010 under Software. I’ve done this in the past, and it works sort of. If you hit “enter” a few times to make a new paragraph the font reverts to the original font. Very strange, any word on how to fix that? 1. Press the Enter key a few times at the top of the blank “template” document I describe above. 2. Make sure those blank lines are formatted with your favorite font. Then, when starting each new document, start typing at the top of the page. Each time you finish a paragraph and press Enter, you are pushing those formatted lines down the page. That preserves your formatting, saving you from a lot of frustration. Help — I have windows 7, but when I change the font on a doc, click save as, no “template” is on the list. Why, how to permamently change the ugly Times Roman font to Ariel??? Andy — Never Mind, finally saw where “template” was!! On the lower left, geez. Got my default font all set up. Thanks. YOU are the BEST. I tried following MS Works instx’s but something went wrong. Yes they got me to the “template” area and filling in the new template, but dunno, something wasn’t right. Every time I’d open a doc, the new font/size was there BUT as soon as I’d hit return for a new line or paragraph right back to that miserable Times Roman 10 pt. ugly type. Somehow you explained it so clearly and well, that I’m ecstatic and have my new (Arial 12′) default type in place. I’ve trying to change the default for Microsoft Works, for the page setup (margins) for over 20 years. Your method worked for that too. Thanks for sharing.